-The break-up of a cherished relationship. -Loss of a cherished and important personal dream. -Anger: "Who or what is to blame for my loss." -Bargaining: "Make this better and I will in return do___." Depression: "I'm too sad to take care of myself and anything or anyone else." Acceptance: "I am at peace with my loss and accept it as part of my life." While there is no prescribed right or wrong way to grieve and right or wrong way to move through the five stages of grief as defined by Dr. Elisabeth Kubler-Ross, there are in fact healthier ways to cope with loss. Accepting your feelings and giving yourself permission to feel whatever it is you feel is pertinent to one's healing. For example, grief that is expressed and experienced has a potential for healing that can eventually strengthen and even enrich one's life. Emotions related to grieving that are repressed can cause one to get "stuck" in a stage of grieving and block one from healing and eventually accepting the loss. If feelings of grief and loss are repressed for long periods, grieving can get more severe over time rather than diminishing. When this happens grief may become what is termed "complicated grief" or major depression. With complicated grief one has trouble accepting the reality of the death or loss long after it has occurred and may even become so preoccupied with his loss that his grief significantly disrupts daily life and negatively impacts other relationships. -Express your sadness to a loved one and a friend you feel especially close to. If you prefer to keep your feelings to yourself write about them in a journal. -Take care of your physical health. Feeling good physically helps with feeling better emotionally. -Be compassionate with yourself. Try not to tell yourself how you think you should feel and resist allowing others to tell you how they think you should feel. -Plan ahead for difficult times of the year that can cause surges in grief, such as special anniversaries, holidays, or birthdays. Prepare yourself emotionally for these events by talking about your feelings and concerns with a relative or friend who will be at the event. If you think you are experiencing complicated grief or clinical depression it is important to seek professional treatment right away. Untreated complicated grief can lead to severe feelings of depression and worthlessness, thoughts of suicide, an inability to perform normal daily activities, and feelings of disconnection from loved ones. Treatment can help with accepting the reality of the loss and has the potential to even enrich one's life. This article was written by Paula Durlofsky, Ph.D., a practicing psychologist in Bryn Mawr, PA. Send comments or questions to drpauladurlofsky@gmail.com or call 484-431-8710. Please visit my web site at www.drpauladurlofsky.com to learn more about me and my practice. 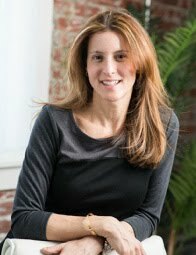 Dr. Paula Durlofsky is a licensed psychologist with a private practice in Bryn Mawr, Pennsylvania. She is dedicated to the pursuit of promoting and cultivating hope. In her practice, Dr. Durlofsky encourages people to examine the particular thoughts, feelings and behaviors that hold them back from reaching their full potential in living a life with passion and purpose. Dr. Durlofsky’s areas of expertise include depression, anxiety, personality disorders, relational issues, grief and bereavement and issues affecting women throughout the life span. She has a special interest in the relationship between social media and psychological well-being and helps people strike a healthy balance between their virtual and real-time lives. Dr. Durlofsky’s writings have been featured in Teen Vogue, Marie Claire, PsychCentral, Mainline Today, Mainline Health, Exceptional Parenting Magazine, and ABC 10-KXTV. She has a PhD in Psychology, an M.A. in Counseling Psychology and an advanced certificate in Psychoanalytical Psychotherapy. Dr. Durlofsky is also an avid lover of the arts and is active in the arts community. She has a BFA from the University of The Arts. Aside from her life’s work, she enjoys being a mom of two daughters, spending time with her husband, hanging out with her girlfriends, reading classic novels and running.